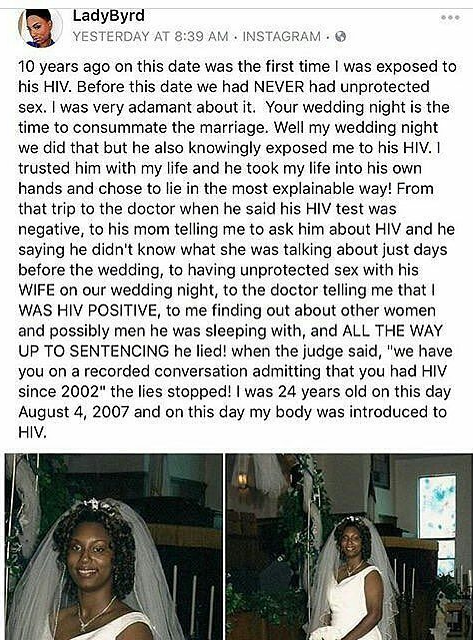 A lady took to Instagram on August 4th which marked the 10th year she was first exposed to HIV. Ladybryd says she got married a virgin and slept with her ex-husband for the first time on their wedding night. Unknown to her, he already knew he was infected but kept it a secret. Read her sad story after the cut.